Because Westlab Pharmacy is a compounding pharmacy, we are not constrained by the strictures of large-scale pharmaceutical manufacturing. This means that Westlab Pharmacy is able to provide cost-effective, customized care to patients not available at other pharmacies. Custom compounding has applications in pediatrics, dermatology, ophthalmology, bio-identical hormone replacement therapy, pain management and sports therapy, dentistry, and podiatry. 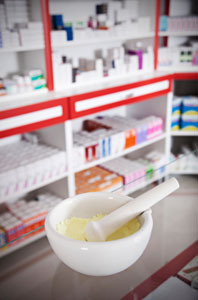 The compounding specialists at Westlab Pharmacy think outside the box to provide their patients the highest quality of individualized treatment. Westlab Pharmacy understands that some patients have needs that commercially manufactured medication cannot address. These needs can include the inability to ingest pills or capsules, an allergy to common fillers, unusual dosage requirements, combination or sustained release therapy requirements, and more. Finding alternative routes of administration helps the physician and patient achieve a positive therapeutic outcome.